Last month I talked about Bare Conductive’s Electric Paint Pen, which can be used to make simple or hidden circuits. 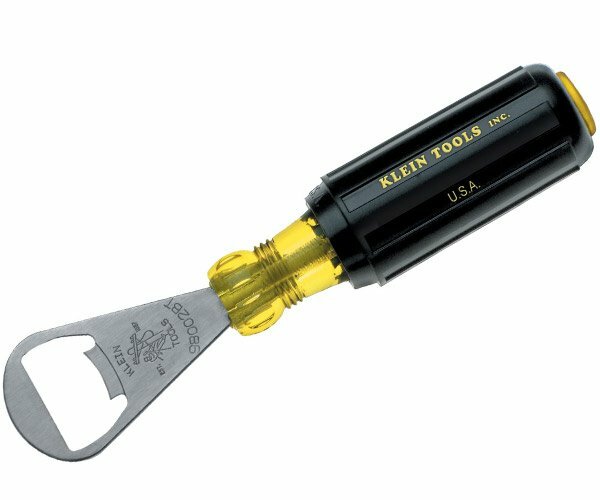 Thanks to the company’s newest product, you can use the pen to make more complex and fun devices. 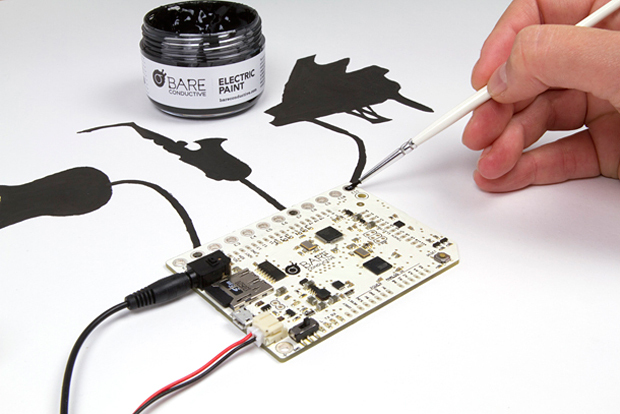 Bare Conductive’s Touch Board turns anything conductive – including the Electric Paint and your body – into a trigger for its built-in mp3 player or MIDI device. The simplest way to use the Touch Board is to load an MP3 file to a microSD card and load the card to the board. Then you just connect a conductive material and a Li-Po battery to the board. 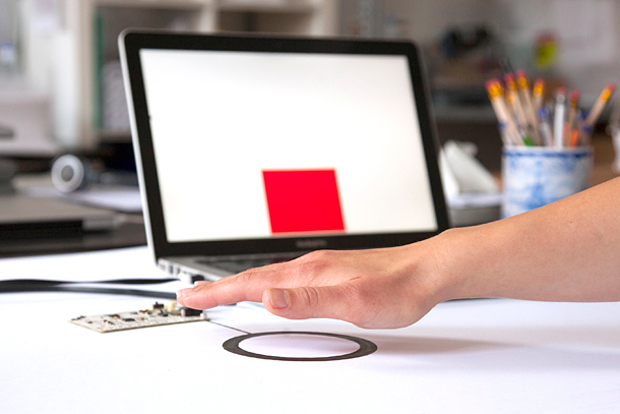 Now all you need to do is touch the conductive material and the Touch Board will play the MP3 file. The Touch Board also has a distance sensor, which means you can set it so that you don’t even have to touch your sensor to trigger the Touch Board. Combine it with the Electric Paint and some creativity and you can make neat stuff like a cardboard boombox, a talking wall, a cookie thief alarm and more. But that’s not all. The Touch Board is also compatible with Arduino Shields, so you can extend its functionality beyond just triggering sounds. 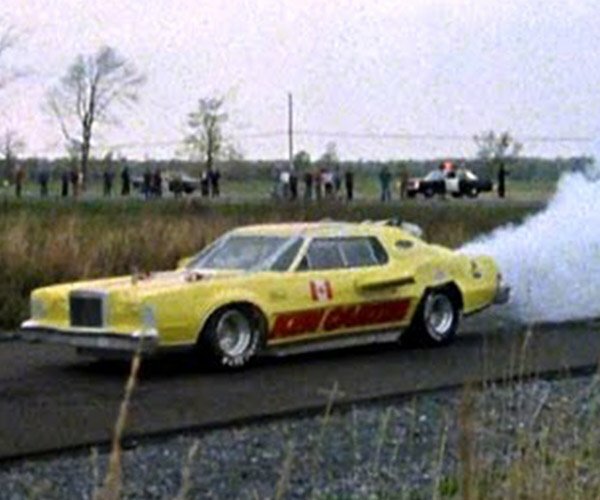 Anything that an Arduino Shield can do, you can turn into a distance- or touch-activated action. Pledge at least £45 (~$72 USD) on Kickstarter to get a Touch Board as a reward. 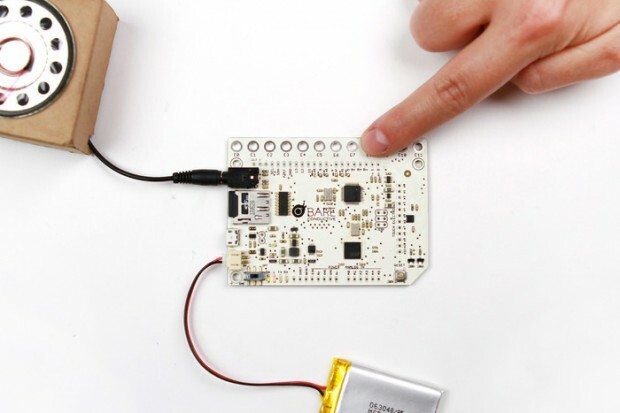 Bare Conductive will even throw in a microSD card and an Electric Paint Pen with your Touch Board unit.